The president's attempts at judicial reform are burdened by the expectation that they will come to nothing. What was Russian President Dmitry Medvedev thinking when he decided to make judicial reform and the fight against corruption signature issues of his first presidential term? He could have chosen something more abstract, say, doubling the country’s GDP – a topic few in Russia understand and even fewer care about. Instead the brave, but reckless Medvedev plunged into the area where things are so bad that no real change can be expected any time soon, certainly not in four quick years. It’s no wonder that the prevailing opinion in Russia is that Medvedev’s reforms are failing. Not helping the president is the culture of “legal nihilism,” one of Medvedev’s own favorite terms. The seriousness of this phenomenon should not be underestimated. According to public polls, more than 60 percent of Russians are convinced that the courts will not protect them from the abuses of the state. Consequently, even if they believe that their rights were violated they would not go to court to sue a policeman (54 percent), criminal investigator (59 percent), or state official (58 percent). But here is an interesting twist: Just a meager six percent of adult Russians have ever asked the courts to protect their constitutional rights. And what would happen if they did? According to a recent Vedomosti editorial, the results are not what a dedicated “legal nihilist” would predict. In 2009-2010, there were 5,500 reported cases of citizens going to court to ask for compensation due to unlawful actions of policemen, investigators or state prosecutors. And guess what? The courts agreed with the citizens in 70 percent (3,800) of the cases. Out of the 65,000 court cases in which state officials were sued for unlawful behavior, the courts sided with plaintiffs in 67 percent (46,500) of the cases. And when the citizens sued individual, lower-ranked bureaucrats, courts ruled in their favor in 54 percent of the time (69,000 out of 127,000 cases). The rate of success was even higher in trade disputes: Consumers won 80 percent of courts cases against retailers and 90 percent of cases against creditors. What these data show is that despite the widespread perception that “there is no rule of law in Russia,” Russian courts protect the rights of ordinary Russians much more consistently that the public opinion is willing to give them credit for. Indeed, many lawyers argue that in cases that are not politically motivated or involve big money, citizens have a decent chance of winning. Naturally, this assumes that citizens are fully aware of their constitutional rights. But here is another twist: According to the above-mentioned polls, 80 percent of Russians know very little or nothing about their legal rights (worse yet, 60 percent are not interested in such a topic at all) and 70 percent believe that they have no access to relevant legal information. In other words, in Russia disdain for the law (“legal nihilism”) walks hand-in-hand with ignorance of the law (“legal illiteracy”). 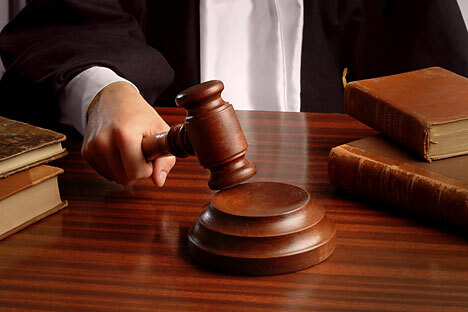 On May 4, Medvedev signed a document awkwardly titled “The Fundamentals of State Policy on Developing Legal Awareness and Culture of the Citizens.” One of the stated goals of this document is to educate Russian citizens about their legal rights. An important part of the project will be creating a system of legal assistance, including free legal services. The “Fundamentals” go to the heart of the problem by attacking both “legal illiteracy” (by educating Russians about their rights) and “legal nihilism” (by helping them execute these rights). Unfortunately, this project suffers from the same problem as many of Medvedev’s other judicial reform initiatives: It is a long-term endeavor whose benefits will become apparent only in the future, after a lengthy and almost inevitably sloppy process of implementation. The fact that the president’s legal crusade does not elicit enthusiastic support from the Russian bureaucracy is hardly surprising. More surprising – and depressing – is the fact that Medvedev’s reforms are often ridiculed by the country’s liberal intelligentsia, which prefers to accuse the president of “talking the talk, but not walking the walk.” What exactly the president is supposed to do to prove that he is “walking the walk,” is not clear. One frequent suggestion is to fire Prime Minister Vladimir Putin or one or two of the supposedly corrupt members of his cabinet; the legal grounds for such an action, however, are never articulated. For many Medvedev critics, the real situation in Russian courts appears to be completely inconsequential: the only legal issue that matters to them is the guilty verdict in the second Khodorkovsky-Lebedev trial. Their approach to establishing the rule of law in Russia is quite peculiar: On the one hand, they call on the president to ensure the independents of courts; on the other, they criticize Medvedev for not preventing the guilty verdict by the Khamovnichesky Court. How can Medvedev win?